We have officially launched the pre-order campaign for our new book, “Georgia, A guide to the cradle of wine” which can be purchased at our online shop. This book, which received the 2016 Geoffrey Roberts Award is an important moment in our series as it’s the 10th book we’ve published and so we took some time to reflect on how the series has evolved since we started it 10 years ago. Thus this will now be a hardcover edition and slightly bigger than the previous paperback editions which will allow us to bridge the gap we’ve found lacking between massive coffee table books and light, non-durable paperback travel guides. This isn’t inconsequential as we’ve seen our books after several years of go-to use by wine professionals and they see a great deal of regular use. You can now pre-order with a 15% discount until May 25th. Books will be sent out in the middle of June or as soon as they arrive from the printer and those who pre-order naturally see preference in the initial shipments. We’re very excited to be sharing this change to the Vinologue series with you as what we’ve seen so far is shaping up to be a lovely, comprehensive, fully-independent resource to this fascinating land of wine. 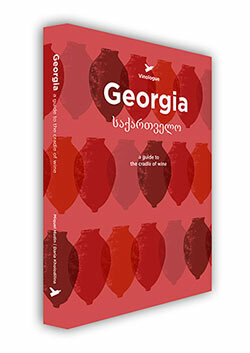 Pre-Order “Georgia, A guide to the cradle of wine” now in our online shop.